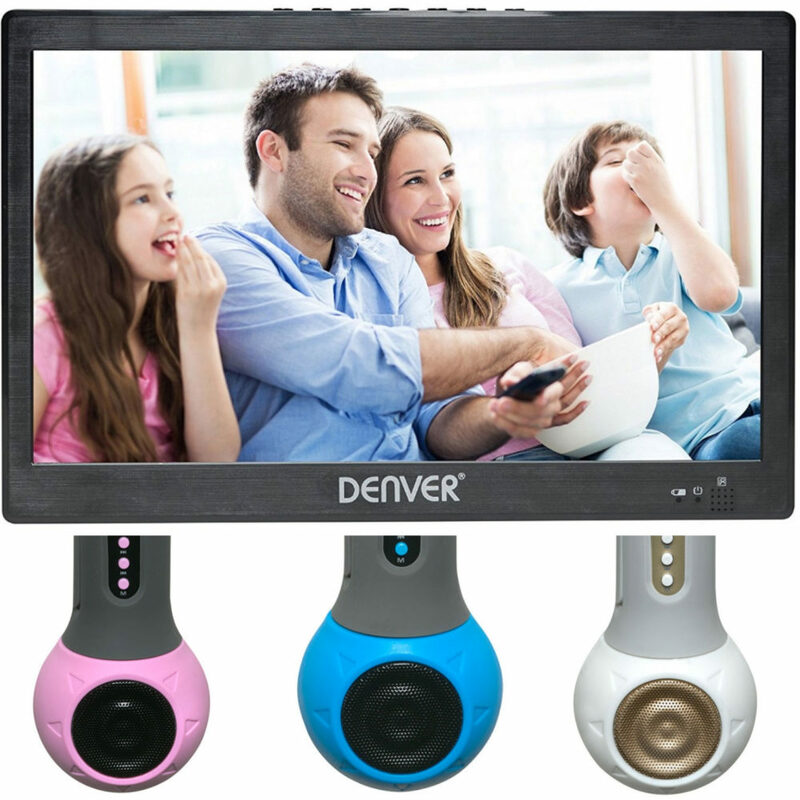 This small portable 10” TV is ideal for your motorhome or caravan, camping trip, car or back home in the kitchen or on the bedside table. It’s powered by the included mains power adaptor, included car 12V adaptor or built in rechargeable battery. Ideal for use anywhere there’s a TV signal, the HDMI input on the side means you can use it as a portable HDMI monitor too. Why not connect your games console, DVD player, video camera or your CCTV security camera. You can even record programs to a USB device, play movies from your USB device and check out your JPEG photos. With a quality 1024 x 600 resolution you’ll get great picture quality on this small TV and stereo sound from the built-in speakers. The DVB-T2 Freeview tuner means this portable TV can be used throughout Europe where ever a DVB-T2 signal is available. At only only £104.99 +P&P, it’s ideal for keeping the passengers entertained on long journeys and for those rainy days and dark evenings when there’s just no other fun to be had! The Denver KMS-10 Bluetooth handheld wireless karaoke microphone, allows you to have a karaoke party or private singing session anywhere you like. Stream your music or karaoke video audio from your iPhone, Android smartphone, iPad, tablet or any other Bluetooth unit through to the KMS-10 microphone. Sing along to your heart’s content using the amplified speaker & microphone. You can use the AUX In connection if you don’t have Bluetooth and save your favourite tracks onto a memory card. With a built-in rechargeable battery, USB cable and integrated loudspeaker, you can show off your singing skills wherever you go. Also available in white, blue or pink, it’s a fantastic addition to any holiday and so easy to pack for a fun road trip for the whole family.